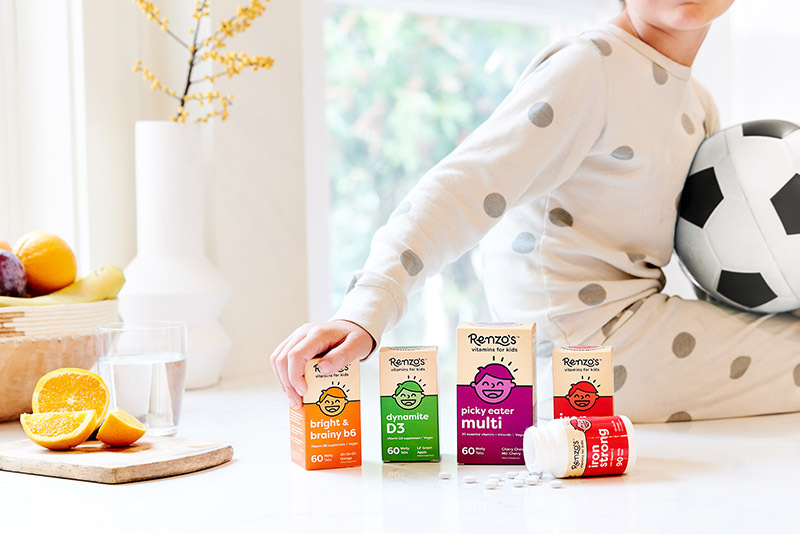 The new brand creates four varieties of vitamins—Picky Eater Multi, Bright & Brainy B6, Dynamite D3, and Iron Strong—all inspired by Dr. Rocca’s personal tale of parenting a child with a host of health issues. Renzo, the company’s namesake, was born 6 weeks premature alongside his twin brother Franco, and nearly didn’t make it. Over the years, a multitude of procedures have followed, as well as advice from medical professionals that Renzo prep for his surgeries with a healthy diet, plenty of rest, and lots of high-quality vitamins. The latter item, of course, can be literally a tough pill to swallow, especially for kids. Which is where Dr. Rocca’s PhD in Pharmaceutical Science came in handy. 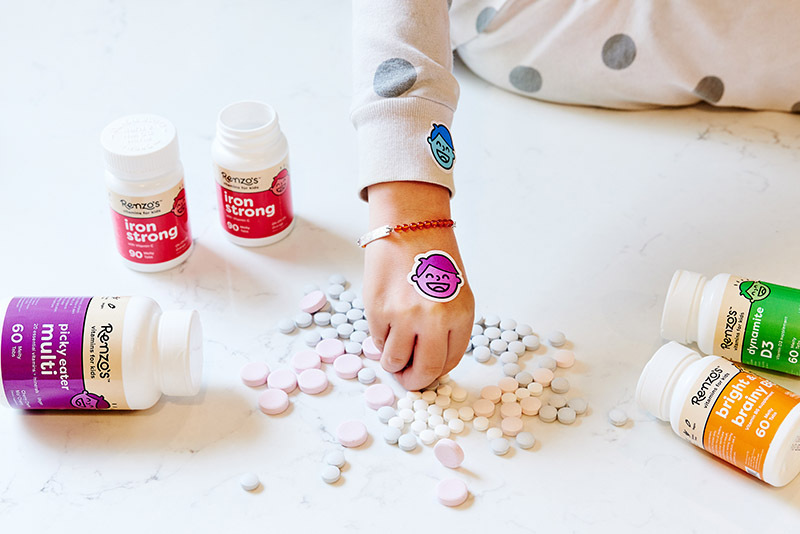 After noticing that other children’s supplements were loaded with sugar, Dr. Rocca developed a nutrient-dense, non-gummy, sugar-free line of vitamins in 2017 that Renzo consumed before and after his latest surgery, and came out of the operation, Dr. Rocca says, “with a clean bill of health.” Now the family is looking to help other kids with their nutritional needs daily. Which brings us back to the current cold and flu season, and the things Dr. Rocca suggests we all do to try to create a clean bill of health for our own families all winter long. 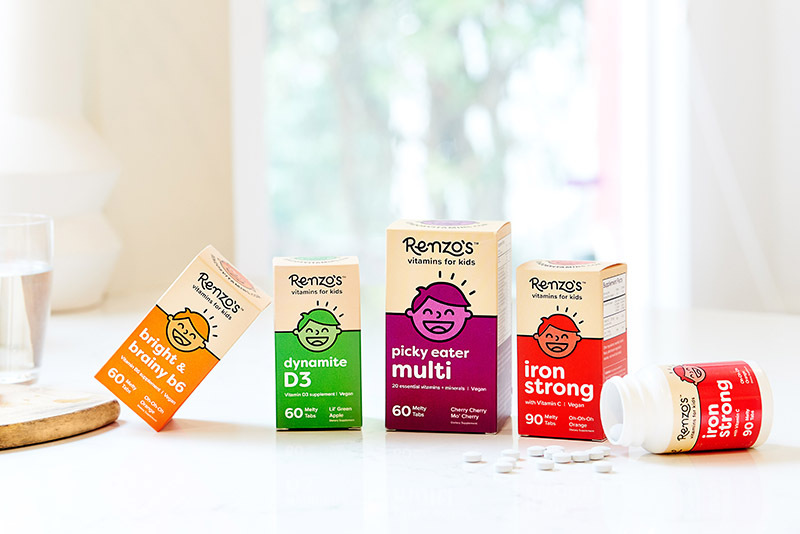 *Take your vitamins, especially those with Vitamin C.
This post is brought to you by Mother + Renzo’s Vitamins.